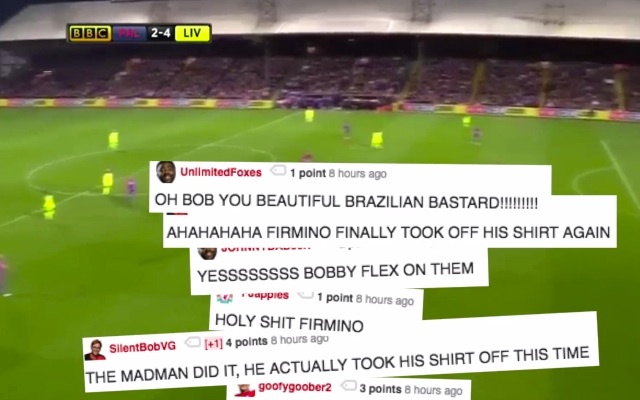 This Palace/Liverpool mashup is the best thing on Reddit! We’re not exactly sure how may copyright infringements this clip involves, but it deserves viewing and congratulating before the Internet cleaners vanish it! Reddit users HUGE_HOG & Takuno have created a mashup clip from Crystal Palace 2-4 Liverpool, featuring various musical accompaniments, the best tweets, photoshops and whatnot – and it’s just excellent. In fact, it very much sums up the heavy metal brand of football Liverpool are now famous for under Jurgen Klopp. Watch the clip, courtesy of reddit users HUGE_HOG & Takuno, here.